The York Institute in Jamestown, TN was founded by World War I hero Sgt. 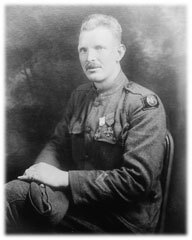 Alvin C. York in the 1920s. In 1926, World War I hero Sgt. Alvin C. York established a school in order to provide educational opportunities that were denied him and the children of Fentress County, Tennessee. York raised a portion of the needed funds from private sources and solicited the Tennessee State Legislature for the additional funds. Classes began in 1929. 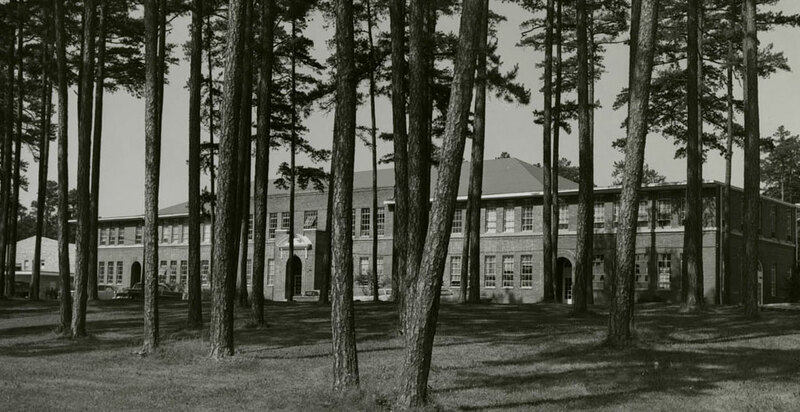 From 1926 to 1937, the school was operated privately. In 1937, the Tennessee General Assembly placed the Alvin C. York Institute under the control of the State Board of Education and assumed the responsibility for its funding. There are currently around 700 students enrolled. In 1986, the school was selected as Tennessee's Center for Rural Education. In 1989, it was one of the 218 schools in the nation to receive the National School of Excellence Award. Again in 1992 the York Institute was recognized nationally among 140 public secondary schools as being one of "America's Best Schools" by Redbook magazine. Their achievements also include winning a girls' State Basketball Championship. One of the York Institute's most well known alumni include Astronaut Roger Crouch. Read: The triumphs and tragedies in York Institute—A Legacy in Distress by Michael E. Birdwell, Ph.D.
Read: The triumphs and tragedies in York Institute - A Legacy in Distress by Michael E. Birdwell, Ph,D. Known as the greatest hero of World War I, York avoided profiting from his war record, choosing, instead to give something back to his nation and his home state. (On 8 October 1918, Corporal Alvin Cullum York and sixteen other men under the command of Sergeants Harry Parsons and Bernard Early were dispatched to capture the Decauville railroad near Chatel-Chehery in the Meuse-Argonne. After a brief firefight [nine Americans died in the melee] the confused Germans surrendered to what they believed to be a superior force. In all 132 Germans were captured and delivered to U.S. Army headquarters by the seven survivors led by Corporal York. The army singled out York as the hero of World War I and presented him with the Congressional Medal of Honor.) Upon his return to the United States, York found himself being wooed by Hollywood, Broadway, and various sponsors who clamored for his endorsement. York turned his back on quick and certain fortune in 1919, and went home to Tennessee to resume private life and pursue a dream that consumed the rest of his life. The story of York Institute is one filled with triumph and tragedy, and deserves greater circulation. When Alvin York responded to his draft notice, he typified the underprivileged, under-educated conscript who traveled to France to “keep the world safe for democracy.” Possessing what he called a third grade education—a subscription school education which amounted to only nine months’ total schooling over three years—York discovered a larger world beyond his ken in the army. Before leaving for Camp Gordon, Georgia, and beyond, York’s world consisted of the area within a one-hundred mile radius of his home (the furthest he had been from home, had been Albany, Kentucky to the north, Celina to the west, Jamestown to the south, and Harriman, to the east where he boarded the train bound for Atlanta, and basic training). The war introduced him to a progressive, mechanized, industrial world, and prolonged exposure to it made him realize the important contributions education could make for his friends and relatives at home. Literally a stranger in a strange land, York recognized that he was ill equipped to fully understand or appreciate his foreign surroundings. Initially, he immersed himself in the Bible, hoping that his simple religious faith would see him through, but by the war’s end he longed for something more than just his faith. Largely unknown to most Americans, and, sadly, many Tennesseans, was the fact that York returned to America with a single vision. He wanted to provide a practical educational opportunity for the mountain children of Tennessee. Understanding that to prosper in the modern world, people needed an education, York sought to drag Fentress County into the twentieth century. Thousands of like-minded veterans returned from France with similar sentiments and, as a result, high school and college enrollments shot up immediately after the war. The very thought of this barely literate veteran launching a campaign for education was fraught with difficulty, for it struck most of Fentress county’s political and social leaders as ludicrous that York could build and administer a school. Possessing no background in education or administration, his intentions, though noble, struck them as absurd because his ability to evaluate instructors, curricula, textbooks, and administration was nearly non existent. While regarded as a hero across America, at home York was seen as a threat to the county’s Republican party political structure. Celebrity made it possible for the Sergeant to express his desire for education to the world at large but gave him little clout when dealing with the old guard Fentress County elite. As early as 1920 York formed a non-profit organization, the York Foundation, and embarked on a series of speaking tours on its behalf. Just as he had no experience as an educator or administrator, he had no background as a public speaker or in fund-raising. Though both initially hampered his progress, York learned how to be effective as a speaker and an educator. Undaunted, he intended to provide the boys and girls of his native region with “liberating influences and educational advantages which were denied me.” His vision was not limited to the education of children from the remote Cumberland plateau region; he wanted to include interested adults as well. He set a tremendous example, for he reminded them when he spoke, of his own former limitations, but that by reading, thinking, and asking questions, he broadened his own understanding of the world. He hired a private tutor, Arthur S. Bushing, who played a crucial role in improving York’s education. A pamphlet issued in 1926 stated, “. . .it will be the aim of the Institute to afford an opportunity for mature men and women to get an education, regardless of how backward they may be, and also to send out only such graduates as are prepared to succeed in the work they have chosen to do.” York realized that one is never to old to learn something new, and led by example. As genuine as York’s mission was to reporters of the New York Times and other media organs, in Tennessee he encountered raised eyebrows, guffaws, and outright hostility. Parents eking out a living in rural areas needed their children to work on the farms since few families could afford to hire labor. They depended on their children to help plant crops, milk cows, slop hogs, and carry out all the other daily chores that made farm life. York’s proposal for a mandatory eight month school term angered a host of local farmers who perceived education as frivolous, impractical, and a waste of hard-earned money. In 1925 the York Foundation drafted plans and proposed a site for the school one mile north of Jamestown near the newly constructed Highway 127. Taking the $12,000 he had raised on speaking tours, York purchased 400 acres, including the Poor House. (It housed students and classes while the new building was being constructed.) York called a national press conference and held a ground breaking ceremony on May 8, 1926, at the Poor House site before a crowd of 2,000, though Governor Austin Peay was conspicuous in his absence. The first students enrolled at York Institute began taking classes in the fall of 1925. On Sunday January 16, 1927, the Nashville Banner announced the launching of a $100,000 fund-raising effort to insure York Institute’s completion. Supported by the recently organized American Legion, each post promised that it would deliver one dollar per member. University of Tennessee president H.A. Morgan pledged his unwavering support as well. Pursuing his goal of improving the education of Tennessee’s youth never proved easy. York’s enemies launched a counter-attack to his ground breaking event, and were intent on humiliating him. They concluded that York, by holding classes in the old Poor House, was guilty of trespassing. Classes continued and construction on the new school neared completion. As construction continued, the state legislature passed the mandatory education bill of 1925, further insuring the success of York’s school. That legislation insulted many people in the county, for it stipulated that in order to teach in Tennessee public schools, teachers had to be certified and have degrees from one of the state’s normal schools. No one in Fentress County was qualified under the new rules, and the first teachers employed at York Institute came from outside the region, with degrees from Peabody Normal College in Nashville. Viewed with suspicion and outsiders, their presence added to the growing hostility against York and his dream for better and mandatory education of Tennesseee’s children. Attorney L.A. Ligon investigated classes being taught at the Poor House for the county, deeming York’s action as “unwarranted, unauthorized and illegal.” The County Board of Education, served York notice to vacate the premises by July 11, 1927, or be forcibly evicted. At 5:15 on Saturday, July 9, 1927, York received the summons. York referred the matter to his attorney, focused his attention upon raising money, rallied supporters to his side, and hit the road again. For the first time in his public speaking career, York discussed his war record to insure that he would play to packed houses and garner much needed funds to continue his fight. When I went out into that big outside world I realized how uneducated I was and what a terrible handicap it was. I was called to lead my people toward a sensible modern education. For years I have been planning and fighting to build the school. And it has been a terrible fight. A much more terrible fight than the one that I fought in the war. And so I head into the frontline and fight another fight. And I can’t use the old rifle or Colt automatic this time. And it has been a long hard fight. York, by this time, was an accomplished, entertaining speaker, and by finally giving the public what it wanted—exciting war stories—he played to packed houses everywhere. Though he enticed the crowds with the recreation of his role in the battle on October 8, 1918, he always ended with a plea for support of York Institute. Unfortunately, the speaking tour proved lucrative and costly at the same time. Though pledges came in supporting the mission, York’s political capital at home continued to plummet. Local papers blistered York while praising his enemies. Articles argued that the children of Fentress County, would be endangered by York’s personal ambitions. York continued speaking engagements throughout 1927 and 1928. New Englanders provided the majority of the financial commitment as well as the greatest interest in his endeavor. On Armistice Day he spoke to a packed audience at Carnegie Hall in New York about the importance of his work and the benighted souls who stood in his way back home, comparing the Fentress county elite to a pair of mules working against each other. His appeal to outsiders, especially northerners, further alienated York’s support at home. After a protracted series of legal challenges, York opened the new school in the fall of 1929. The school’s opening coincided with the onset of the Great Depression, and in 1931 the state ended all appropriations for bus transportation, effectively crippling the struggling Institute. The very nature of the school a mountain school where children could come for a free education required buses. York went before the County Court and asked for help; the Court refused. On two occasions, first in 1931 and then later in 1935, York secured a mortgage on his farm from his political enemy and banker, W. L. Wright—to hire drivers, buy buses, and even pay teachers’ salaries. This was true heroism, endangering the fate of his family to ensure that the school stay in operation. As the Depression worsened Wright badgered York, ultimately declaring him delinquent in his business transactions, and moved to foreclose on his farm. Had it not been for his longtime friend and neighbor, Susie Williams, York would have lost his farm, for she twice loaned him the money necessary to pay off his note. Far from crediting York for his selfless efforts, the state never reimbursed York for his altruism. Rather, he was criticized for his behavior which led to a fact finding investigation in 1933, that resulted in York’s eventual removal from the school in 1937. The investigating committee recognized that York was the driving force behind the school and feared its demise if he were removed from the picture. They also acknowledged that if the school were turned over to Fentress County, the situation would be worse. As a result the state of Tennessee assumed control of the school and assumed operation of York Institute. They removed York as the school’s administrator, but named him “president emeritus,” because he did not have a college degree. The title which recognized him as the school’s founder but stripped him of any power. In spite of his loss of position, York continued to promote York Institute, raising private donations for expansion of the school facilities and, when possible, contributing his own money. Legislation forced the state to have a vested interest in its success and York’s dream of free education for Tennessee’s mountain children at last became a reality. He presided over every graduation ceremony until his stroke in 1948, but continued to make regular visits to the school up into the late 1950s, until he grew too frail. York fought valliantly in a war waged not on distant battlefields in France, but on his own doorstep. Because his tenure in the military made him painfully aware of his intellectual limitations, York dedicated the remainder of his life to the improvement of education—his own, and his region’s. York Agricultural and Industrial Institute, north of Jamestown, stands as a monument to his embattled dream. Yet the condition of the building that he helped build, digging its foundation by hand, and overseeing every aspect of its construction, now stands in near ruin. Though it should be a lasting tribute to his hard work and dedication to assist the citizens of the state he loved, it is now on the brink of collapse. York lost many battles over the course of the war to build York Institute and make it viable. Though he lost control of the school in 1937, he continued to be its biggest booster, and dedicated his life to its success. Because of his vision, thousands of students have benefitted from his largesse. Eyes have been opened and imaginations given flight by his dream made reality. Thousands of York Institute graduates went on to become leaders of industry, bankers, lawyers, and educators. The sorry state of York Institute’s original building is shameful. The foundation he helped dig and walls he helped build remain solid, though bricks are falling from its facad. Glass remains in few windows, and birds nest in the building’s rafters. Alvin York, when asked “How do you want to be remembered?,” always replied, “For improving education in Tennessee.” The building which should be a monument to that achievement, now sits as a derelict shell of what it should be. Tennesseans should step up and help save the symbol of its greatest 20th Century hero’s life’s work. Michael E. Birdwell, Ph.D. is Associate Professor of History at Tennessee Technological University and Archivist of Alvin C. York’s papers.